Through our continuous fundraising efforts, below are a few of the projects and programs we support. The house was built 20 years ago with brick and concrete but the roof was made of a typical construction system that uses wood or giant reeds covered in mud and plaster. Due to heavy rainfall in the area the roof has deteriorated and needs to be replaced. Also after all those years the electrical system needs to be changed and some areas need to be renovated. 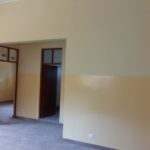 Due to the success of the youth house for young men, there is the need to build more rooms to accommodate the ones that are on the waiting list and to give them more comfort in the social areas. Few young people are capable of starting adulthood on their own at the age of 18; imagine starting out as a foster child with no family and no guardian to help you establish an independent life. In order to thrive, young people need the support of caring adults. Likewise, poverty among adolescents is a significant factor behind lack of post-secondary education, juvenile delinquency, and difficulties in making a successful transition to adulthood. general population: pregnant by age 19, face unemployment or underemployment, alcoholism, etc. One day, shortly after the children walked to the chapel, the ceiling of the children’s study hall caved in causing major damage to the ceiling structure and the inside of the study hall room. 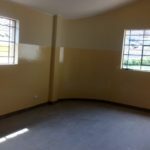 Though we are thankful for the miracle of the fact that no child was harmed by the collision of the ceiling, AEA is committed to funding the construction of a new home Casa Hogar Juan Pablo II. The home, which was built two decades ago, was built using sun-dried brick (adobe) and “quincha” (a typical construction system that uses wood or giant reeds covered in mud and plaster). Due to heavy rainfall in the area, the home has suffered significant deterioration and had to be demolished. 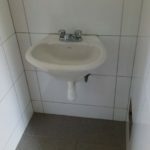 After more than two decades of use, it was necessary to refurbish the bathrooms in the John Paul II Orphanage Home in Huanta. The work was carried out thanks to a Swiss benefactor who asked his friends to donate money to a fund instead of sending him birthday presents. During 2011 he looked at various options and finally chose us. In January 2012, Martin Buehlmann celebrated his 50th birthday and celebrated it in Zurich, where he lives. Martin’s friends contributed $ 3,500 dollars and in March he travelled to Lima to deliver the donation. 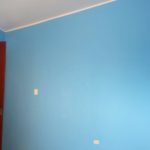 The refurbishment is currently finished thanks to the collaboration of a group of young French people belonging to Association Camino, who came to the home to help with painting and furniture repairs. The perimeter wall of the home has been completed using the best materials; the main courtyard has also been refurbished with a new concrete floor and new guttering. This work was carried out with funds from AEA and a generous donation from AEA-Miami. Send us a message or signup for our newsletter. We will keep you informed of upcoming events and ways for you to help.